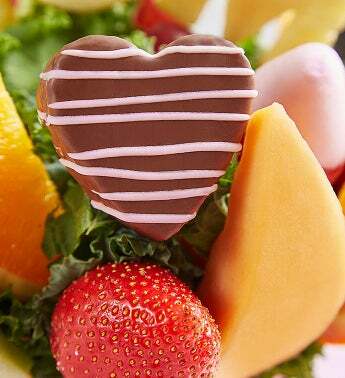 Celebrate the sweetest one in the bunch - Mom! 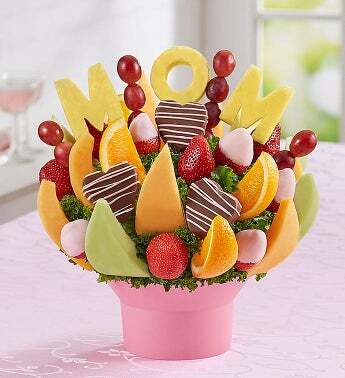 Our impressive arrangement of fresh fruit features juicy pineapple letters that spell out “M-O-M” front and center, along with decadent dipped and drizzled heart-shaped pineapples, plump juicy strawberries, and more. Bring the celebration to new heights by adding a festive Happy Mother’s Day balloon!